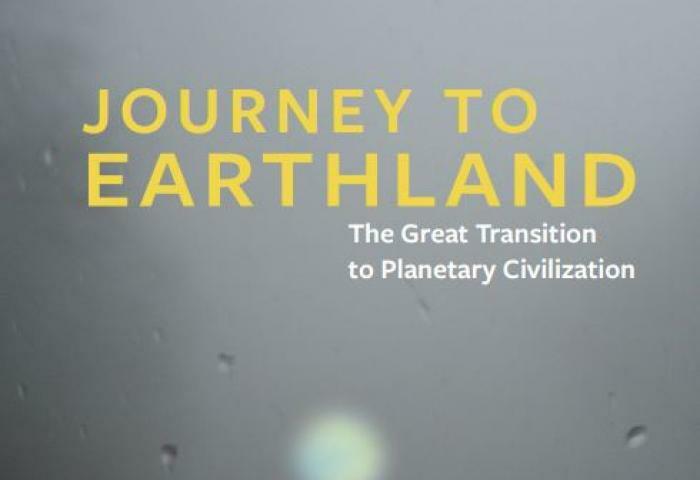 A new publication by The Great Transition Initiative provides an inspiring vision of a more equal, vibrant and sustainable civilisation. From STWR’s perspective, all that it lacks is a sufficient focus on the critical needs of the very poorest citizens—which could ultimately forge the global solidarity needed to bring that new world into being. Earthland is the idealised outcome of this great transition, brought to life in the final part of the book where three archetypal regions are explored: Agoria (with its market emphasis and socialised economy, or ‘Sweden Supreme’), Ecodemia (distinguished by its economic democracy and collectivist ethos), and Arcadia (accentuating self-reliant economies and a ‘small-is-beautiful’ enthusiasm). Raskin argues that such a compelling vision of “One World, Many Places” may seem remote, but should not be dismissed out-of-hand—just as sovereign states may have once seemed an implausible dream to eighteenth-century sceptics. From an STWR perspective, the book hits all the right notes in sketching out a more equal and vibrant civilisation that exists within planetary boundaries. It envisages a new paradigm in which economies are a means for attaining social and environmental ends, not an end in themselves; in which economic equity is the prerequisite in a shift towards post-consumerist societies, while poverty elimination is “a galvanising priority”; and in which continued economic growth is equally shared both within and between regions, until Global North-South disparities have vanished. The real question, however, is how a global citizen’s movement can actually emerge in these socially polarised times, when even the prospect of uniting Western societies to welcome refugees is a forlorn challenge. Raskin provides a cogent theoretical perspective on how a mass movement can be galvanized, built on cultural or “normative solidarity” and a sense of “emotive unity”. Emphasis is placed on the need for proactive organising strategies, as well as an “integrated strategic and intellectual framework” that can connect the full spectrum of global issues. The times cry out, writes Raskin, for large-scale campaigns with the explicit purpose of catalysing a transformative social movement along these lines. But still we await a truly international effort of this nature to emerge, while most single-issue movements are increasingly entrenched in local or regional struggles as the trends of inequality, conflict and environmental degradation generally worsen. From this immediate perspective of a starkly divided world, the answer for how to catalyse a united voice of engaged citizens may be unexpected in the end. For perhaps what’s missing from most Western-led campaigning initiatives and protest actions is not the right intellectual strategy, but a sufficient focus on the hardships and suffering experienced by the very poorest citizens within the world population. Perhaps the spark that will initiate an unprecedented demonstration of global unity is not to be found in the human mind at all, but in the simple attributes of the human heart—as Raskin himself appears to intuitively recognise. He writes: “As connectivity globalizes in the external world, so might empathy globalise in the human heart.” The question that remains is: how can that collective empathy be initially catalysed, and on what basis—given the fact that tens of thousands of neglected citizens are needlessly dying each day without sufficient help from governments or the public-at-large? As STWR’s founder Mohammed Mesbahi has explicated in a different kind of political treatise titled ‘Heralding Article 25: A people’s strategy for world transformation’, such unprecedented protests across the world may be the last chance we have of influencing governments to redistribute resources and restructure the global economy. It may also be the only hope for initiating a global citizen’s movement, bringing together millions of people for a shared planetary cause—and ultimately paving the way for all the social, economic and political transformations that are inspiringly promoted by the GTI. The present situation demands discussion of such important topics. The study of the work may not only enhance knowledge on global transition initiative but also provide approaches for the global citizen movement. The information is useful in mobilising public opinion.